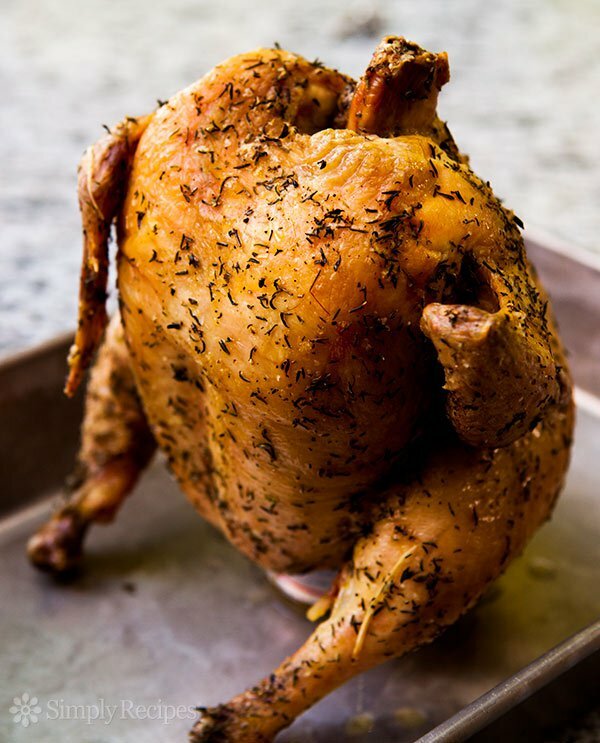 Have you ever heard of Beer Can Chicken? In a small frying pan, melt 1/2 the butter. Mix in 1 tablespoon garlic salt, 1 tablespoon paprika, salt and pepper. Discard 1/2 the beer, leaving the remainder in the can. Add remaining butter, garlic salt, paprika and desired amount of salt and pepper to beer can. Place can on a disposable baking tray. Set chicken on beer can, inserting can into the cavity of the chicken. Baste chicken with the melted, seasoned butter. Place baking tray with beer and chicken on the prepared barbecue. Cook over low heat for about 3 hours, or until internal temperature of chicken reaches 80 degrees C.